Facepalm: It seems that when it comes to Fallout 76, Bethesda is struggling to get anything right. 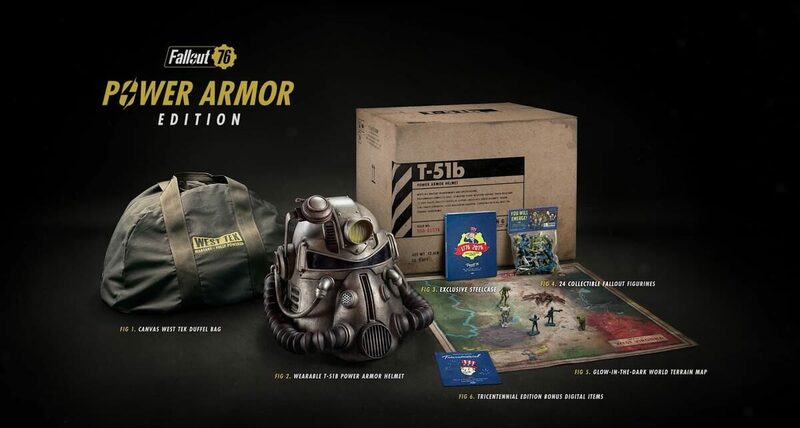 In amongst the game’s $200 Power Armor Edition was supposed to be a snazzy-looking canvas duffel bag, but the awful nylon version it shipped with has angered buyers, though not as much as the company’s response. In what could be an analogy to the game itself, the military-style canvas bag appeared quite promising in the pre-release material but ultimately turned out to be disappointing. As you can see in the picture below, which comes from an Imgur user, the nylon version that replaced it doesn’t look like something you’d want to show off to your friends, or anyone else. What’s even more amazing is the curt response one Redditor received from the Bethesda Gear Store support team when they enquired about the bag. The email read: "Sorry you're not happy, bag shown was a prototype and too expensive to make, not planning to do anything about it," which makes the company sound like the worst seller on eBay. Bethesda did give an official response to the message, apologizing to the customer and explaining that the person was a “temporary contract employee and not directly employed by Bethesda.” A week after its release, the company updated the text on its product page to specify that the bag is nylon, though the image still states it is canvas. In an attempt to appease angry buyers, Bethesda is offering 500 Atoms, Fallout 76’s microtransaction currency, as compensation. That’s a generous five dollars’ worth, which, as noted by PC Gamer's Chris Livingston, won’t even buy you the game’s postman skin that, ironically, comes with a canvas bag. After becoming the company’s worst-reviewed game in 12 years, is there any hope for Fallout 76’s future?